If you’re looking to give the gift of iTunes credit this year, or just need to refill your own account, Amazon’s taking $7.50 off when you spend $50 or more on digital iTunes cards with code ITUNES for the holidays. 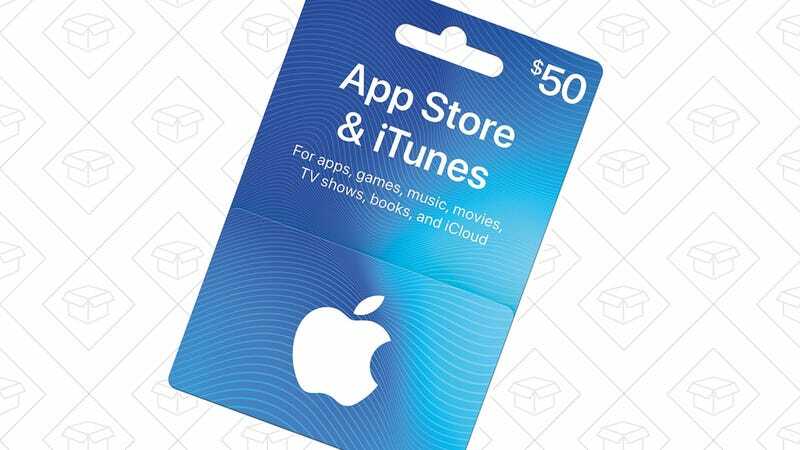 Most iTunes gift card deals offer a single card in a single denomination, but this one lets you combine multiple smaller cards that you could give away as gifts. As long as you’re spending at least $50 and use the promo code, any combination should work. You Still Need Sunglasses In the Winter, So Why Not Grab Some New Ray-Bans?